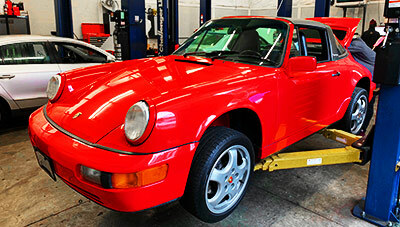 Since 1978, Trafton’s has provided Portland OR with the best Porsche repair around. Our mechanics are factory trained and certified and can fix any issues that arise in classic or new model Porsche vehicles. For the best customer service for your high-performance Porsche, look no further than Trafton’s Foreign Auto! Need a repair for a classic or new Porsche? Trafton’s Foreign Auto has the experience and knowledge to fix any issue! Call us today! Our mechanics understand that, as a high-performance vehicle, Porsches can have parts that run at an extremely high level. That’s why we have all the right tooling and parts that other shops wouldn’t bother having. This is only a small sample of the many detailed repairs that we perform on Porsches every day! Trafton’s Foreign Auto has the right tools, the right parts, and the right people to get your Porsche back on the road as soon as possible. Call today or stop by for a quote on your Porsche repair in Portland.